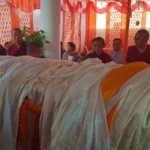 The Kagyed drubchen ceremony began on the 30th of March 2019 at the Mindrolling Monastery in India. 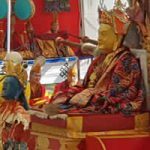 This ten-day drubchen marks the passing of Terdag Lingpa, the great treasure master and founder of Mindrolling, and is one of the most profound practices performed annually at the Mindrolling Monstery. 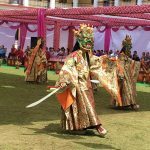 The Kagyed drubchen or Kagyed Mahasadhana is from one of the most profound terma practices—Kagyed Desheg Düpa revealed by Nyang Rel Nyima Ozer in the 12th century. 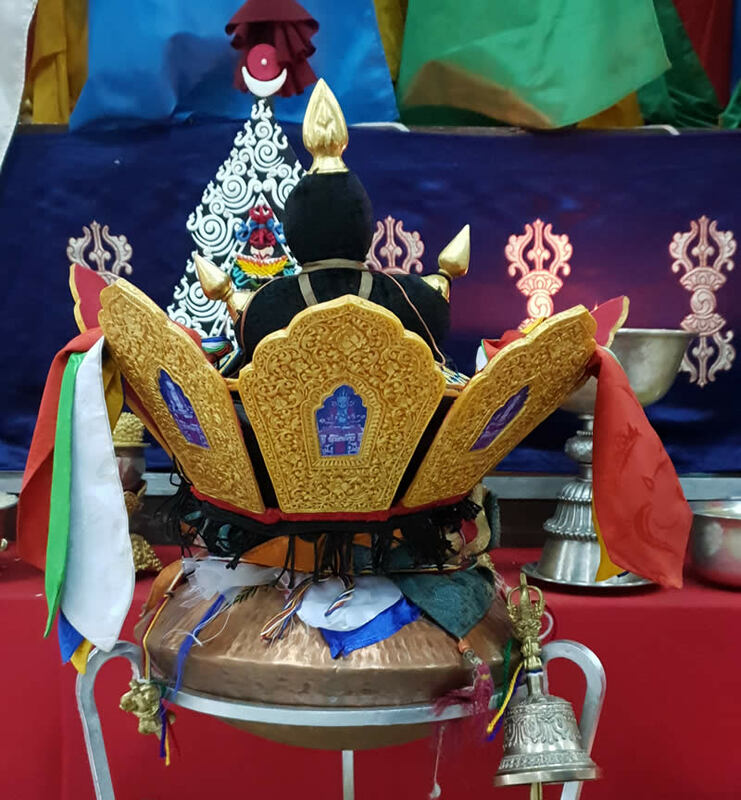 This great terma was revived by Terdag Lingpa in the 17th century and at the time of his passing into parinirvana, Terdag Lingpa instructed his students to perform the Kagyed drubchen every year instead of grieving or commemorating him in any other way. 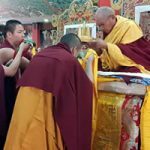 This he said would be of great benefit not just to the Sangha but to the entire world. 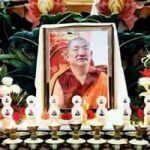 Since his passing, the Mindrolling Sangha has performed the Kagyed drubchen every year for ten days culminating into the 2nd day of the 2nd lunar month which is the parinirvana day of Terdag Lingpa. 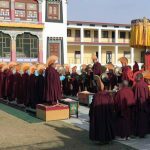 This year the preparation and accomplishment of the mendrub practice was also done during the Kagyed drubchen. Mendrub, also known as sacred medicinal pills or amrita pills, are prepared in accordance with sacred rituals and accomplished within the context of a drubchen. 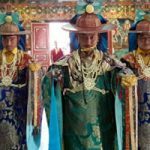 Hundreds of precious medicinal herbs and relics are gathered together and the sacred pills are then made as instructed in the ritual of making and accomplishing these precious pills. 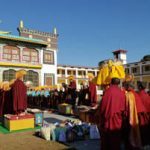 This year in Mindrolling during the Kagyed drubchen, mendrub was made with the greatest care and respect for the traditions as laid out by the great masters of the past under the direction of His Eminence Khochhen Rinpoche and Lopon Tenpa Gyaltshen la. 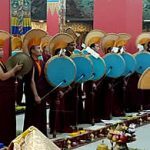 We dedicate the merit of this profound drubchen to all sentient beings and pray for the well-being and long-life of all teachers and practitioners of the Buddhadharma.